Collecting stamps from a single country or group of countries is probably the most common way to collect stamps. 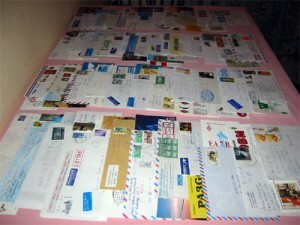 In fact, stamp collectors will often collect the stamps of the country they live in. For example, if you live in Canada, you definitely have easy access to Canadian stamps, which are actually rich in terms of the development of postal history. Or perhaps, if you live in the US, you’ll have easy access to USA postal stamps that have enticed many stamp collectors due to the unique story that each stamp bears, featuring notable individuals such as US presidents, scientists, and other personalities who have clearly contributed to the country’s rich history. And since stamp collecting has become a popular global hobby, stamp collectors have been lured with gathering different stamps from around the world. Indeed, the use of postage stamps has emerged globally and has been effectively used by countries. This has resulted to not only opening new opportunities for collectors, but paving the way to know more about a particular country’s history and cultural heritage in a different way. Stamp collectors, as well as the general public, have established an admirable interest in collecting stamps from various countries across the globe.Many stamp collectors have been exploring this industry not just because they want to earn money, but because they want to know more about the amusing accounts of history that they can get from these stamps.